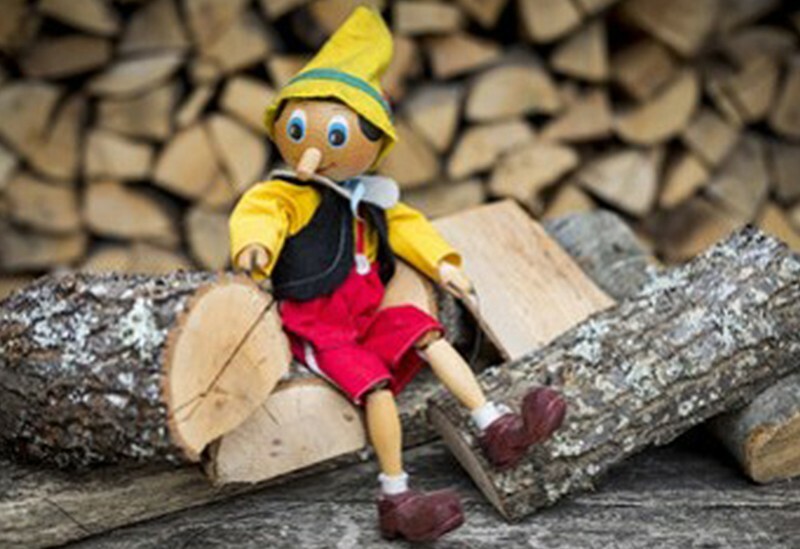 The story of "Pinocchio" will receive an operatic treatment from the Binghamton University Opera Ensemble at 4 p.m. Sunday, Dec. 9, in the Anderson Center Chamber Hall. It’s never too late to learn the value of honesty. In an operatic version of the children’s story “Pinocchio,” the Binghamton University Opera Ensemble hopes to delight audiences young and old while spreading the important message that telling the truth is always the best choice. Based on Carlo Collodi’s original novel, the show includes music from operas by Mozart, Donizetti, Offenbach and Pergolesi. Castel and her cast will present “Pinocchio” at 4 p.m. Sunday, Dec. 9, in the Anderson Center Chamber Hall. Tickets are $15, general public; $10, faculty/staff/seniors/alumni; and $5, students. The interactive aspects of the opera will occur during three children’s shows, which cast members will perform exclusively for schoolchildren in the days leading up to the Sunday show. Castel hopes putting on a show that is compelling to all ages will encourage young people to be open to opera, which is an art form she believes is often misunderstood. The fablesque nature of the production, Castel said, does not mean the music is simple or watered down. Graduate student Jenna Stewart, who will play one of the Pinocchios, said she admires the opera’s fairytale aspects for its bright energy and wholesome takeaways. Stewart’s duet with Evan Nelson, a graduate student playing Pinocchio’s father Geppetto, continues that light-hearted attitude, as he said it is one of his favorite scenes. “It’s a fun little thing and it’s also a well-known duet from opera, so it’s a nice parallel between the two for the kids to learn more about what opera is,” Nelson said. Though the extensive original narrative requires the hour-long opera to be condensed, the cast will be doing the entire adaption. John Isenberg, the show’s music director, believes that this is what makes the production truly stand out. One of these optional scenes includes a powerful face-off between the evil puppet master Dulcamara and Geppetto. While the children are an important focus for the cast, Isenberg believes that the cleverness of the scenes makes the show entertaining on several levels for older audiences as well. Above all, the cast hopes the audience — adults and children alike — leave the show with a smile.